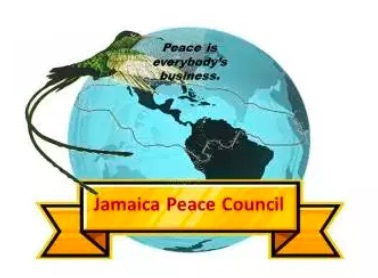 The Jamaica Peace Council (JPC) joins all peace-loving people in rejecting the orchestration of what seems to us to be a coup d’état in Venezuela by the United States and its allies on January 23, 2019. They opted to endorse the self-appointment of Juan Guaido as president while demanding that Nicolas Maduro step down or face the possibility of a military intervention. When asked by the media if the US may invade Venezuela, President Donald Trump gave the snide response that, “All options are on the table.” This can only be viewed as a declaration of war against a sovereign nation whose citizens have exercised their democratic right to elect a leader that is not favoured by the Donald Trump Government. In 2014 the nations of Latin America and the Caribbean came together and established a treaty declaring the region a Zone of Peace, meaning that dialogue, not war, will be the means by which issues are resolved within and between states. This declaration of war against Venezuela is not only in breach of international law, it is disruptive to the culture of peace that we are creating in our region. Wars destroy the fabric of nations and create a psyche of violence which manifests itself in spiralling violent crimes across the world and right here at home. Mass murders are now a frequent occurrence in the United States. We must reject the warmongering, dictatorial posture of the United States towards Venezuela. Let us get the facts straight about what is unfolding. On the January 10, 2019 Nicolas Maduro was inaugurated as the legitimate president of the Bolivarian Republic of Venezuela, having been elected by over six million people on May 20, 2018. In that election, over nine million people exercised their right to vote for three candidates, despite the right-wing guarimba violence aimed at preventing them from going to the polls. The right-wing Opposition party had chosen to boycott the polls. The election proceeded in accordance with the Venezuelan Constitution of 1999. According to the conclusions of the “extensive international technical electoral accompaniment mission”, which oversaw the process, the Venezuela electoral system was perfectly free, fair and transparent. This is contrary to the claim that the elections were fraudulent and that ballot boxes were stuffed. Venezuela has a sophisticated electronic process that does not use ballot boxes. The self-declared “Interim President” Juan Guaido is false and undemocratic. It does not accord with any of the provisions of the constitution. He is being imposed on the people of Venezuela by the United States even though he was not even a candidate in the election last year. US officials recognised Guaido as president even before he swore himself in. This is not surprising because the US has a history of setting up puppet regimes in Latin America to give their multi-national corporations unbridled access to the rich resources of the countries. This matter must be taken seriously by the citizens of Latin America and the Caribbean as it contravenes our right to elect governments of our choice. It has implications for all our nations. Picture some relatively unknown individual declaring himself prime minister of Jamaica and receiving the backing of the US, who then tells Prime Minister Andrew Holness to step aside because he is not obeying their dictates. That is the scenario in Venezuela. We had better “tek sleep and mark death” with this Venezuela situation. We denounce this coup attempt, which has only received support from a small number of US allies, including the Lima Group, and is condemned by rest of the world. We denounce the attempt to instigate civil war in Venezuela by calling on right-wing supporters to take to the streets. We condemn the US for imposing sanctions against Venezuela with the obvious aim of destroying the economy in order to turn the people against Maduro. We condemn the US Government for lobbying the Bank of England to block Venezuela from withdrawing $1.2 billion worth of gold from its assets placed in their trust. We condemn their latest cruel action of freezing the revenue from CITGO stations in the US. As imperialism bears its fangs, it calls to mind Henry Kissinger’s plot to make Chile’s economy scream prior to the overthrow of Salvador Allende in 1973. The US officials claim to be concerned about the Venezuelan people. How do these actions benefit the Venezuelan people? No, they don’t care about the people. They only care about corporate greed. They are making the people suffer as part of their planned strategy to overthrow a Government that puts the interest of the people first. This is the same cruelty that was displayed during the government shutdown in Washington. The Trump Administration cared nothing about the plight of the federal employees, most of whom live from pay cheque to pay cheque and found themselves unable to pay rent, mortgage, car note, and medical expenses. Some could not even buy food and medication. We applaud the nations that stood up at the meeting of the UN Security Council on January 26 and obstructed the attempt of the US to obtain endorsement for intervention in Venezuela. We are proud of the representatives of Caribbean and Latin American nations that courageously refuse to support the call for intervention in Venezuela. We applaud the over 180 nations which recognise Maduro as the legitimate president of Venezuela based on the results of the May 2018 election. As an organisation dedicated to peace, justice and freedom from interventionism, war and violence, we call on the Trump Administration to stop their regime-change destabilisation tactics in our region. We call on the Trump Administration to withdraw all military bases from the region and to realign its foreign policy to the spirit of the Community of Latin America and Caribbean States (CELAC) Declaration of the region as a Zone of Peace. We stand with the people of Venezuela in their leadership through the Bolivarian Revolution. They have promoted freedom, dignity, and peaceful cooperation in our region and around the world. • There are approximately 553,742 homeless people, including war veterans, many of whom rummage through garbage for food on a daily basis. • There are an estimated 100 million people living in poverty. • There are a rising number of homeless deaths in the streets. • A vast number of US citizens have to work two or three jobs just to survive. • The super-exploitation and financial insecurity of American workers through short-term contracts with no benefits. • There’s a resurgence of overt racial discrimination and ascendancy of white nationalism. • There’s wanton killing of blacks which gave rise to the Black Lives Matter movement. • There’s a vast community of people still living in tents and make-shift abodes under bridges more than 10 years after Hurricane Katrina in New Orleans. • The harsh conditions still being faced by Puerto Rico after Hurricane Maria which claimed the lives of an estimated 4,600 persons. • Recall the poisoning of the rivers and streams by mining companies which sparked the Dakota Access Pipeline protests. • The increasing number of mass shootings as the interest of gun lobbyists is placed above the safety of the citizens. This piece was submitted by the Jamaica Peace Council. Send comments to the Observer or jamaicapeacecouncil@gmail.com.